Lead actress Nam Ji Hyun of recently ended tvN drama '100 Days My Prince' shared loads of photos from the cast's celebratory dinner, which took place back on October 31! 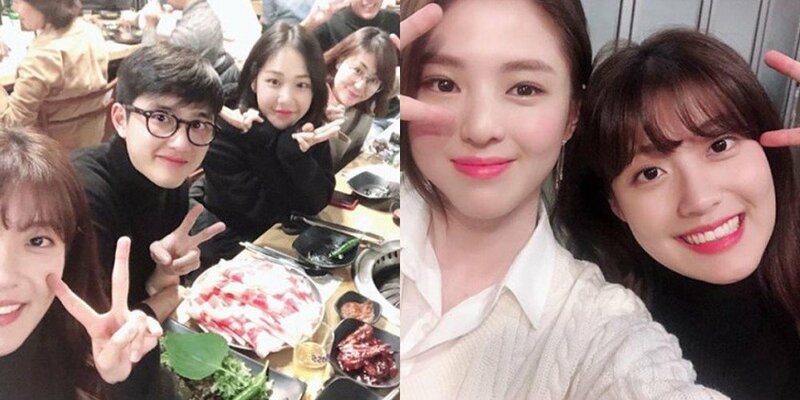 Not only the drama's cast, but also the entire staff and crew can be seen gathered at a Korean bbq restaurant to celebrate the drama's successful, final broadcast. Nam Ji Hyun wrote, "#100DaysMyPrince. I want to see everyone again," and posed with her co-star EXO's D.O, Kim Sun Ho, Lee Min Ji, Kim Ki Doo, Han So Hee, Lee Jun Hyuk, Han Ji Eun, Kang Young Suk, and more! It looks like the cast and staff had a blast of a time during their celebratory dinner! The '100 Days My Prince' cast and crew are also set to depart for a reward vacation for the success of the series this December, to Bali, Indonesia. Will you be missing '100 Days My Prince'?